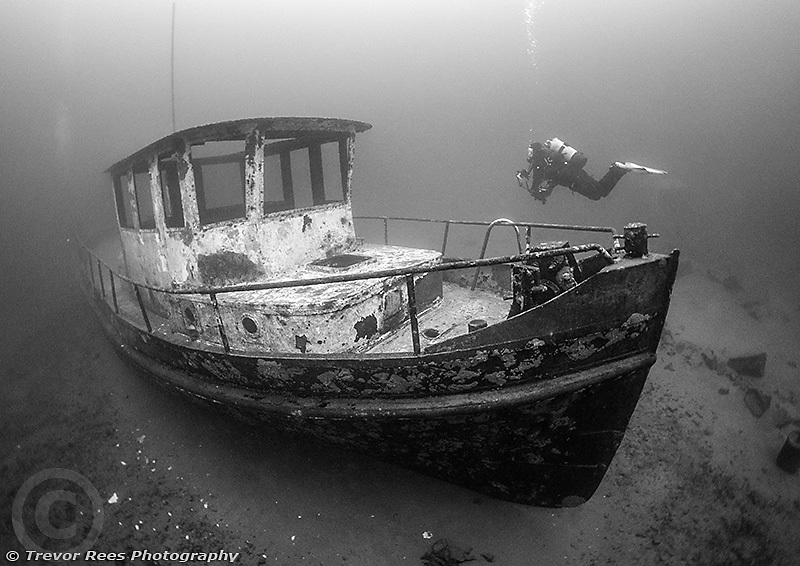 Here lies the wreck of the Defiant at Stoney Cove..
To be honest, it's just scrap metal and a boat of little if any significance.It sits on the 20 metre ledge and was a chance to use my camera and think of more inspiring photography to come in 2017. The water was an uninspiring greeny yellow, so it's had the black and white treatment. Olympus EPL7, Olympus 8mm fisheye, available light.